What are you wearing? And what damage has it done to the planet? Perhaps more than you think. In this episode Jo takes a look at what’s in our wardrobes and tries to unravel the carbon footprint of clothing. 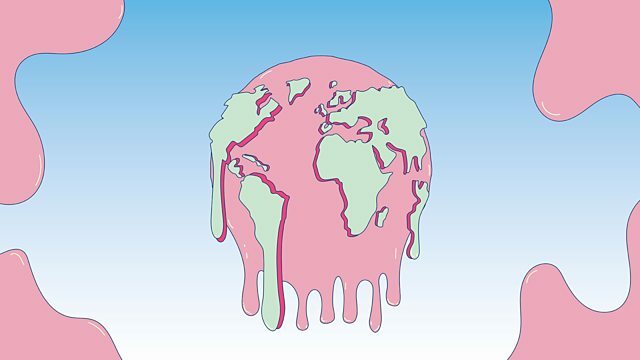 Apparel and footwear industries makeup 8% of global greenhouse gas emissions. This amounts to nearly 4 metric gigatons of carbon dioxide per year  which is the equivalent carbon emissions of flying from Manchester to Paris 40 billion times! It is almost as much as the total carbon emissions of the entire European Union. Jo interviews Phoebe English, a fashion designer who started her own sustainable label in the UK. Phoebe notes that, even though the impact of fashion is vastly damaging, it is difficult for the consumer to connect buying clothes to climate damage because we are all oblivious to the manufacturing process of clothing. Dilys Williams, director and professor of Fashion Design for Sustainability at the London College of Fashion, shares her most eye-watering fashion fact. What has transformed us into tremendous shopaholics? These days clothes are designed to be worn only a handful of times before they begin to fall apart (quite literally) at the seams, ending up in landfill. We are held in the clutches of large clothing companies that compel us to keep up with rapidly changing styles and designs, enticing us with constant sales and reductions. This monster industry has been coined Fast Fashion. We have become addicted to the brief adrenaline and excitement of buying new clothes and don’t think twice about their environmental impact. The good news is that, according to sustainability psychologist Lorraine Whitmarsh, it’s been proven that we get more joy from mending and lending clothes than buying new ones. How about taking 20 minutes this Sunday to give a new lease of life to an item buried in the back of your wardrobe? There is one key ingredient to manufacturing clothing you’ll never find on the label; water. It takes 2,700 litres of water to grow the cotton to make one t-shirt . That’s enough water for one person to drink for 3 and a half years! And, often, cotton is grown in countries where water is already scarce. How much water did it take to fill your wardrobe? Not only does clothing consume oceans of water to make, we use buckets and buckets of it to wash them. Washing your clothes takes water and energy, especially heavy items such as jeans. According to Phoebe, jeans don’t even like to be washed. To save energy and water and keep your jeans healthy and happy, pop them in the freezer for a couple of hours. This kills the bacteria and leaves them feeling fresh. Tumble-drying is often the biggest waste of heat in a household. Go on, treat yourself to a drying rack. Prepare yourself for another grimacing statistic; the second largest amount of plastic in the sea comes from clothing. We’re not talking about a pair of pyjamas floating around with the turtles, we’re talking micro-plastic. Much of our clothing is synthetic and synthetic clothes are made of plastic. When we wash them, the turning and tumbling in the machine causes a multitude of tiny fragments of plastic, thinner than a 13th of the width of human hair, to be released from your clothes. The first 8 – 10 washes release the most plastic. The micro-plastic travels down the drain, into the water system, into rivers and to the sea where it is eaten by fish, and who eats the fish? We do. We are essentially eating our own synthetic clothing. Isn’t that nice. Well it’s pretty clear we need to buy less clothing but we’re not about to start marching around in ultra-durable, never-smelling North Korean style uniforms (two outfits each please and replaced every 10 years). We love using clothes to express ourselves but let’s express ourselves with less. Collect a few signature items that represent you. Buy second hand and sell or give away the items gathering dust. Mend and repair! There’s nothing more relaxing than a bit of evening sewing with a glass of wine. Wash your clothes less and air dry them. And take time to think… do you really need another t-shirt?